For the past year and a half I wrote the Where We Live feature for We Love DC. Every edition would take me to another neighborhood in the city, where I’d talk to residents and find out what makes that neighborhood a great place to live. And while every neighborhood was different, and there were some unique characteristics of particular neighborhoods (like the neighborhood rooster in Takoma), there were a lot of similarities too. After a while, I’d hear the same things over and over again as the main things that people love about their neighborhoods. 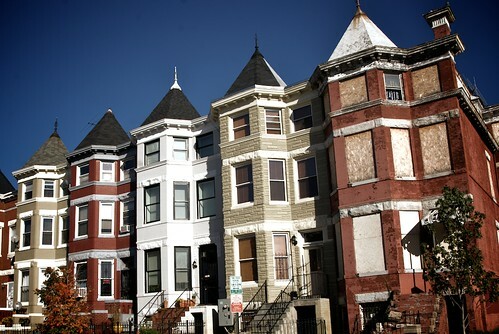 Here are some of the elements common to our favorite neighborhoods in the District. Welcome to the last regularly-scheduled Where We Live. We’ve had a great run over the past year and a half, profiling dozens of neighborhoods in the District, Maryland, and Virginia. But all good things must come to an end (especially when we’re running out of neighborhoods to profile!). So while Where We Live won’t disappear, and you can still expect more neighborhood profiles on occasion in the future, this will be the last regularly-scheduled one you’ll see for a little while. And we’re wrapping things up with the lovely suburb of Cheverly. Cheverly, known as “the hidden jewel of Prince George’s County”, is an idyllic little town right outside of the District. It sounds too good to be true– tree lined streets, a small-town atmosphere, and beautiful, affordable housing close to a Metro station. As it turns out, it’s all true. 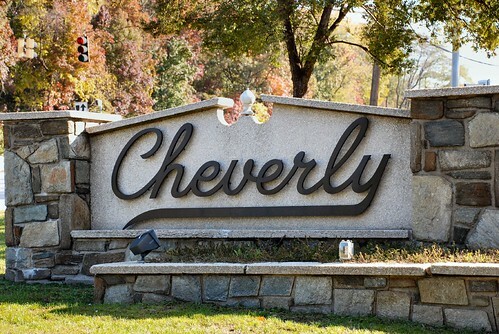 So let Where We Live fill you in on one of the Washington region’s best kept secrets: Cheverly. I went into this week’s Where We Live with limited knowledge about Takoma– I’ve visited a few times, swam at the pool, walked through the pretty tree-lined streets. I knew that Takoma was a beautiful neighborhood, filled with residents who really love living there. But the Takoma I discovered while writing this feature was just flat-out awesome: it’s a neighborhood that feels like a small town within a big city, with community events all the time, and even a neighborhood rooster. Seriously. History: Takoma got its start back in 1883 as a commuter rail suburb of Washington, offering clean water, fresh air, and a semi-rural lifestyle with access to the city. Back then the community, which straddled the DC/MD line, was known as Takoma Park. The area attracted a good deal of residential growth with some smaller commercial areas. 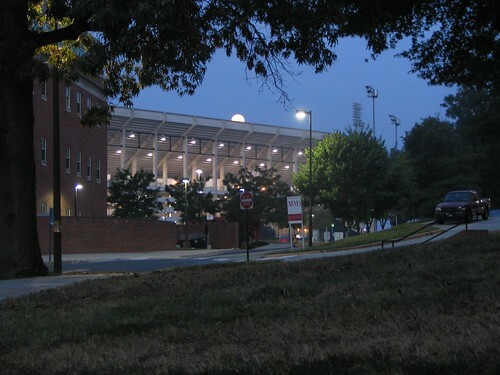 The area eventually took on two names– Takoma (a neighborhood in Washington DC) and Takoma Park (a city in Maryland). There’s a shared identity between these two parts, and the area has come to be known for its active residents. Residents successfully joined together to oppose the North Central Freeway Project in 1964, and they had a significant impact on the Takoma Metro station (which sits on the Washington DC side, thus the name) back in the 1970s. Initial plans called for high-density commercial and residential development around the station and a 500-space commuter parking lot, but residents organized a group called Plan Takoma that developed the alternative of what you see today: a public park, a 100-space parking lot, and the retention of medium-density houses and shops. Welcome to another edition of Where We Live! 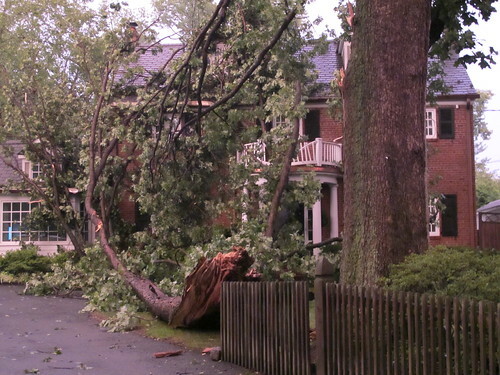 This week we’ll be taking a closer look at Tenleytown/AU Park. Even though this neighborhood surrounds American University, it’s not just college students who live there– the beautiful tree-lined streets and great transit access attract people from all walks of life. History: This part of town has a pretty cool history. Tenleytown originally got its name back in 1790, when residents took to calling the neighborhood “Tenally’s Town” after tavern owner John Tenally. 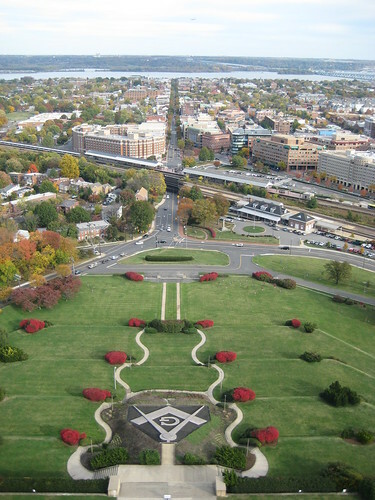 Fort Reno, as the highest natural point in the District, was part of the Civil War Defenses of Washington. After the Civil War, Fort Reno was a free black community, but you wouldn’t know it today– the remnants of this neighborhood were wiped out when several schools were built in the name of urban renewal. The area became a commercial center in 1941, when Sears opened a huge store there (the site of the Sears was redevelopment and now houses the Best Buy and Container Store). The area developed throughout the twentieth century with the help of the streetcar and its proximity to American University (which admitted its first class in 1914). There are some neighborhoods in the District that residents just love. Southwest Waterfront has a very strong sense of community, Bloomingdale residents love nothing more than sitting on their stoops and talking to neighbors, and now we’ve got another addition to the super-passionate neighbors list: Brightwood. I sent out a call for Brightwood residents to tell me about their neighborhood, and when I got an e-mail with the subject line “WHY I LOVE BRIGHTWOOD!” I knew this neighborhood was special. Thanks to your great suggestions telling me where you live, we have several more neighborhoods in the District, Virginia, and Maryland to profile over the coming weeks. This week, we’re heading back in to DC to look at a very neighborly neighborhood: Bloomingdale. It’s a beautiful neighborhood close to the center of town but it feels worlds away. Read on to find out what makes Bloomingdale a great community, and the number one thing that residents love about the neighborhood. History: Bloomingdale wasn’t part of Pierre L’Enfant’s original plan, and started out as a pretty rural area. It was next to the planned suburb LeDroit Park, and didn’t really see much residential development until the 1890s when streets were paved and a streetcar connected through the area. Bloomingdale quickly became home to rowhouses, churches, and schools, and it has remained a quiet residential neighborhood ever since. More on the history of Bloomingdale over at Bloomingdale DC. We’re heading back to Maryland this week to check out a DC suburb that has grown to become the second-largest incorporated city in Maryland: Rockville. 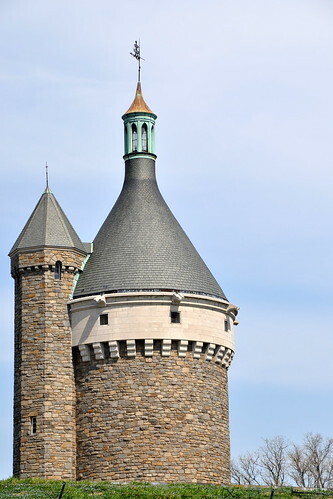 Read on to find out what Rockville residents like about it, and why it’s worth a visit. History: Rockville was one of Maryland’s oldest towns and had an important role in the Revolutionary War. It got its name in 1801 because of its proximity to Rock Creek, and developed slowly for most of the 1800s. In 1873 the B&O Railroad came through town, and the area grew even more. 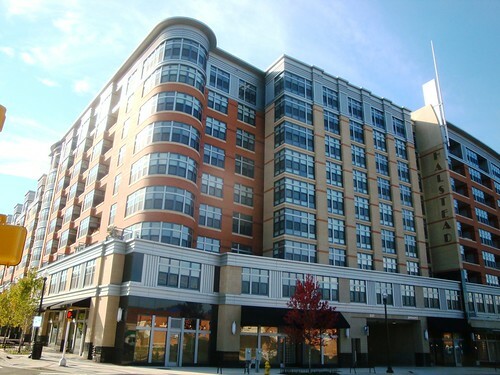 But the real surge in growth in Rockville didn’t happen until after the 1950s, when the population increased sevenfold in thirty years. 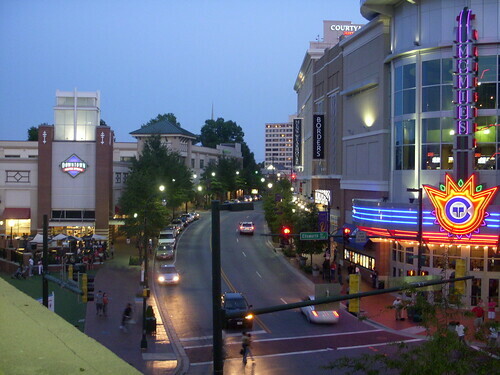 Today Rockville is home to over 60,000 residents. 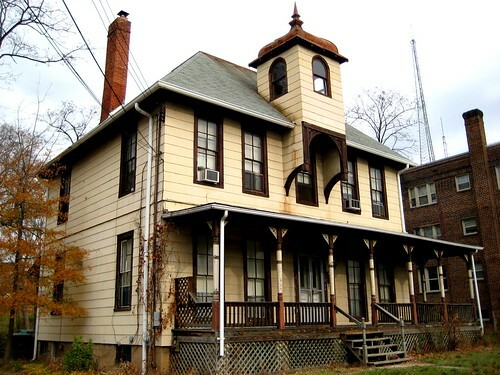 For a more detailed view of Rockville’s history, check out the city’s historic preservation website. For those District residents who don’t own cars and don’t like MetroBus, the extent of the Washington region is limited. Sure, you can get to a lot of major attractions via MetroRail, but you’re missing out on a lot too. 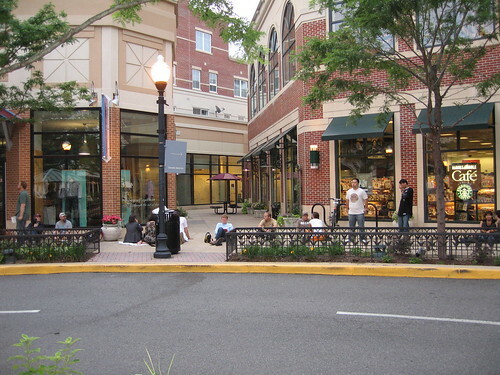 Take Columbia Pike for example– it has a vibrant, fun “main street” feel to it, but many Washingtonians haven’t been out there (except maybe to catch a movie at the Arlington Cinema & Drafthouse). Even though there isn’t a Metro station nearby, this area is definitely worth a visit. History: Columbia Pike has always been a major thoroughfare through Arlington County since it was chartered in 1801. It was originally a streetcar suburb, with a streetcar stop at the intersection of Walter Reed Drive and Columbia Pike and a direct bus connecting to the District. But during the 1940s, the area became much more suburban and car-friendly, with lots of car dealerships and gas stations. This pattern of development continued for the next fifty years. The important thing to note here is that many of the neighborhoods in the Rosslyn-Ballston corridor developed similarly, but they got Metro stations in the 1970s. This led to a surge in land value, which then led to compact development and reinvestment right around those stations. 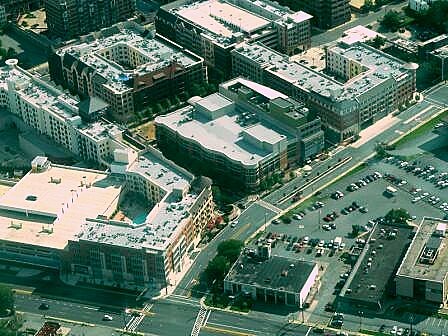 Columbia Pike didn’t get a Metro station, so there was no catalyst for urban development. But the story isn’t over: a streetcar is coming to Columbia Pike in the next decade, which can finally bring the reinvestment that the area has been waiting for. Welcome to another edition of Where We Live. This week we’re hopping on the yellow line, crossing the river, and checking out Crystal City. 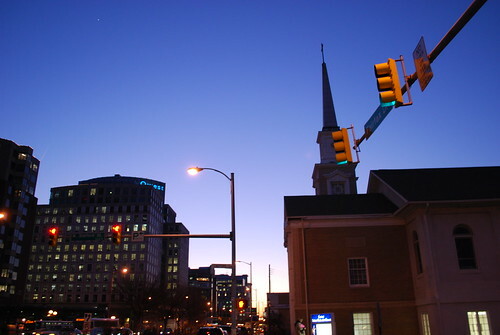 When I started looking into Crystal City for this feature, I wasn’t too sure what I would find– a neighborhood named after a chandelier that claims to be Arlington’s largest downtown? All I knew of it was that there were lots of hotels and office buildings. But what I found was a lot of people who absolutely love living in Crystal City. 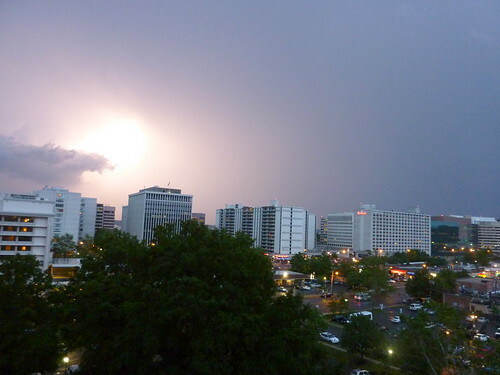 Read on to hear what’s great about Crystal City, as well as some recommendations about what to check out next time you’re in the area! In this week’s Where We Live, we’re venturing back out to Arlington into the heart of the Rosslyn-Ballston Corridor. 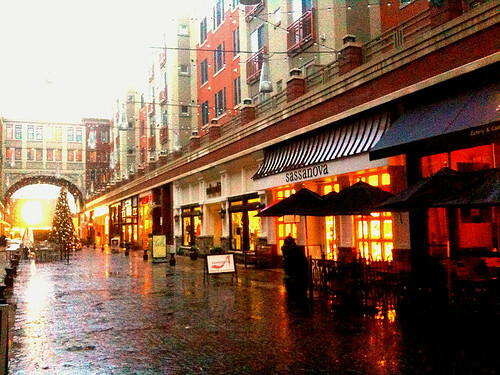 Clarendon is one of those places that always has something going on, and with a wide selection of bars, restaurants, and shopping, you’re never at a loss for something to do. 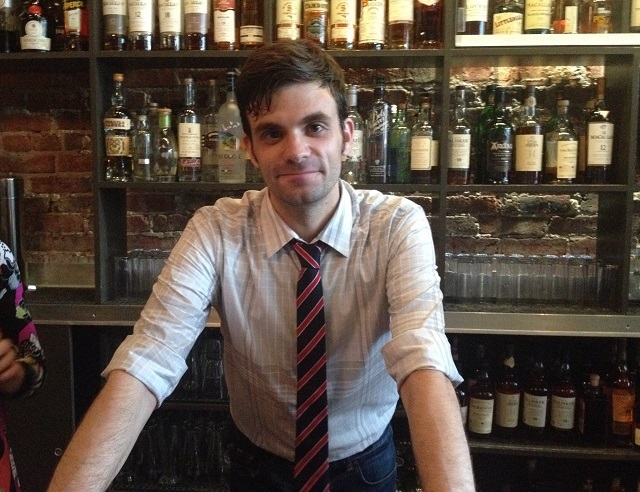 But it’s also a great place to live– our very own Patrick says moving to Clarendon was the best choice he ever made! Read on to find out what’s so great about Clarendon. Welcome back to Where We Live, your bi-weekly tour through neighborhoods in and around the District. This week: Shirlington and Fairlington! For those of you whose understanding of the DC area relies on a Metro map, you might not be too familiar with this area. But you’re missing out! While there’s no Metro station nearby, this is a very cool area filled with plenty to do. 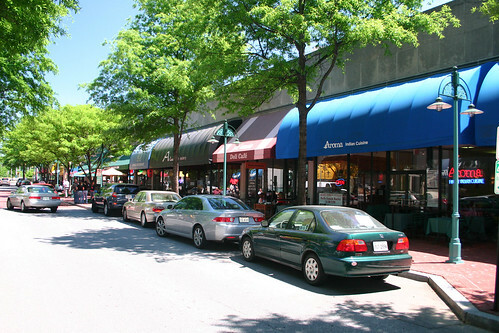 Alexandria is an independent city in Virginia that measures 15 square miles and includes over 100,000 residents (which is much larger than the typical neighborhood that we profile in Where We Live), and includes distinct neighborhoods like Arlandia, Rosemont, North Ridge, Del Ray, and West End. This profile will mostly focus on the civic and commercial heart of Alexandria in Old Town, but it should be noted that Alexandria is made up of charming neighborhoods outside of that area that are definitely worth a visit. History: This is a town with a lot of history. Here’s the short version– Alexandria was originally a Native American settlement, then a major port, then part of DC in 1789 (only to be retroceded in 1846), then a quiet southern town frequented by tourists in the early twentieth century, then a growing suburb, and finally in the 1960′s the Old Town area was reborn as a commercial center and civic heart of the city (though many original historic buildings were demolished to make room for this ‘progress’). 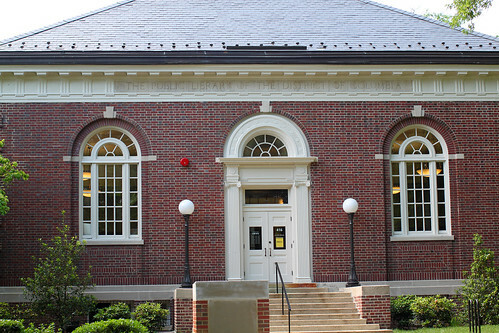 The long version can be found on the Lyceum’s website about Alexandria history.